NAZK demands the refutation of former manager's statements. 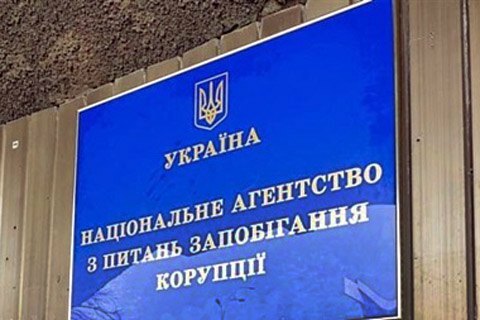 The National Agency for the Prevention of Corruption (NAZK) filed a lawsuit against own former head of the Department of Financial Control and Lifestyle Monitoring Anna Solomatina. NAZK seeks the refutation of inaccurate information she made public on Tuesday. "NAZK filed a lawsuit with Kyiv's Shevchenko district court," a member of the NAZK Oleksandr Seryohin told a briefing on Wednesday, 15 November. On Tuesday, Solomatina told a press conference that the head of the NAPK and her former colleagues falsify the results of full checks of e-declarations. According to her, the agency is fully controlled by the presidential administration. "E-declaration is used to cover for officials loyal to the government, the pressure on opponents and the enrichment of the NAZK head and members. Audit results are falsified as it is necessary to NAZK leadership," Solomatina said. NAZK said it opened a probe on Solomatina's allegations, and in turn accused its former employee of the dissemination of false information. Agenda of VIII National Expert Forum "Ukraine: Seeking Balance"